We make these same resolutions every year. 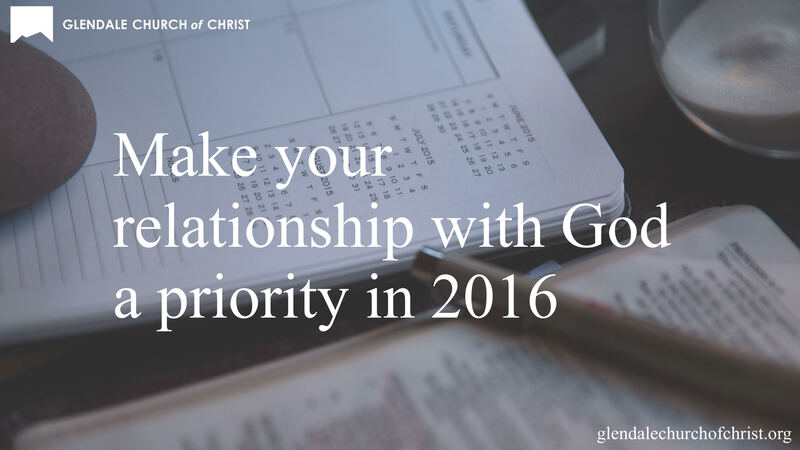 Make your relationship with God a priority in 2016 and join us Sunday, January 3, 2016 at 10:30 AM. This entry was tagged 2016, God, priorities, resolutions. Bookmark the permalink.